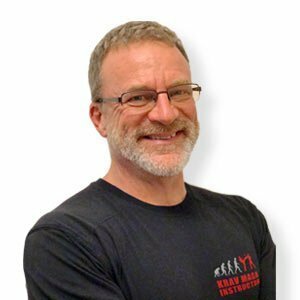 Before becoming a Krav Maga instructor, Eddie Wells served in the United States Air Force for 20 years. Early in his career, he worked as Security Police Specialist completing tours in the US and abroad in South Korea. In addition, he worked with a Disaster Preparedness Support and Readiness. Once retired, his passion for protecting others led him to serve in the Security field. Working years in event and concert security, lead him to a promotion to Head of Security at a Nightclub in his local area. Eddie began his study of Krav Maga in 2011, and it instantly became his passion. Since then, Eddie has spent years expanding his own knowledge in Krav Maga. Eddie’s greatest joy lies in teaching both adults and children the importance of and steps to assure self-awareness and self-protection.